CraftygasheadZo: Catching up - new hair, stamps & colouring. 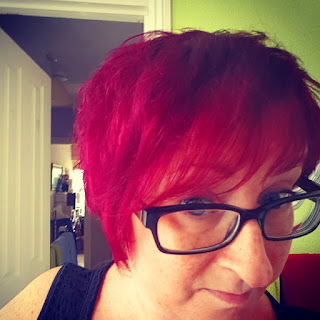 Catching up - new hair, stamps & colouring. Now I've stepped back from blogging for a few weeks to deliberate about how I want to go forwards with it. While I'll continue to share crafty makes and join in with sharing my desk. 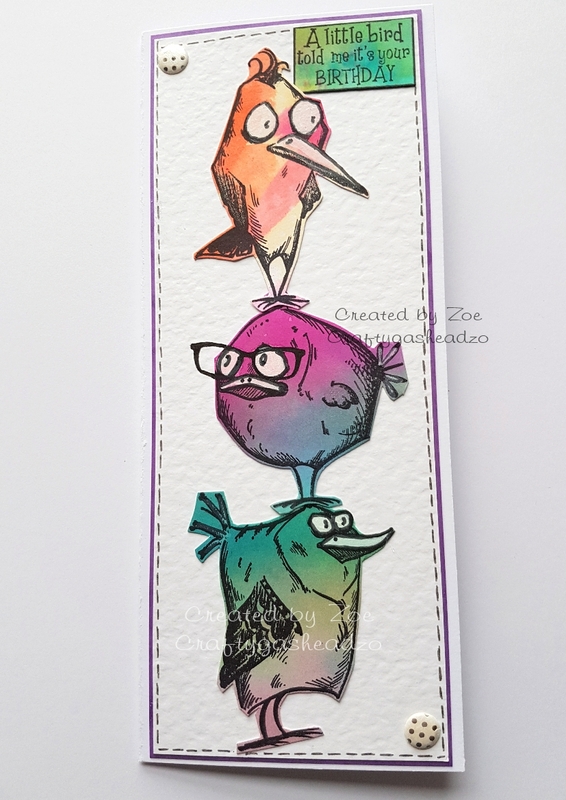 I thought I'd actually make an effort to use my blog for more than just crafts. I'm just not creating enough to maintain it as craft only. I know I tried this once before but failed to maintain it. So I'm trying again. With renewed determination! Not sure how it comes across on your screen but it's definitely vibrant pink/purple. The colour is called Pure Purple. But believe me when I say it's a lot more bold pink! But I don't care I love it!! 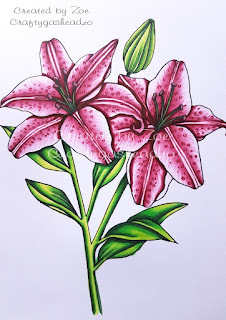 I've not done a lot of colouring so wanted to learn more techniques so I signed up to the Kit and Clowder Elements of Nature colouring class. 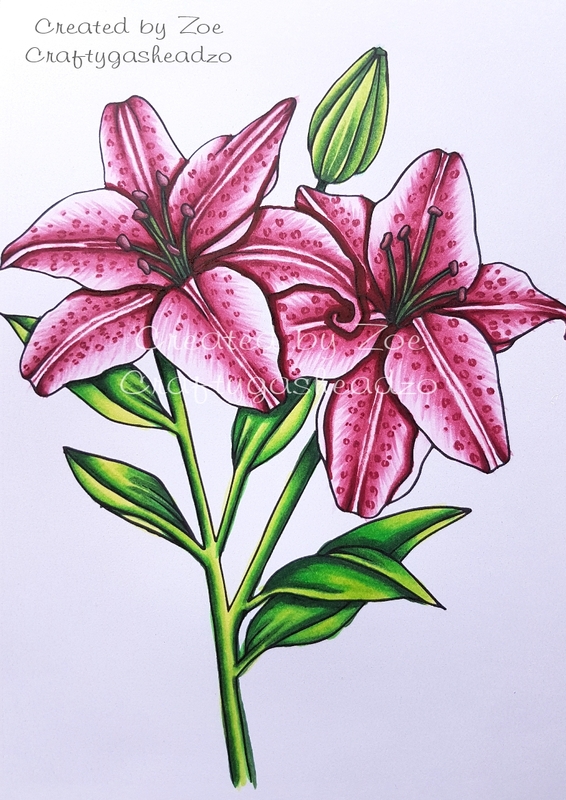 Here's my first project - the Lillies lesson. Probably one of the harder lessons but I just got on with it and really enjoyed colouring these. I want to do them in different colours now I know how to do them. I've not bought any craft stash for ages but I came across Tim Holtz Crazy Birds stamps at a super price. So I had to get them. I've used them to make a few birthday cards. 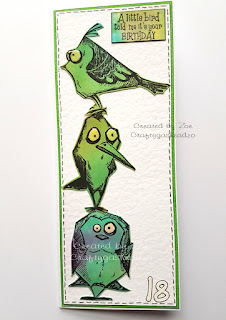 I sprayed a piece of card with different inks and left to dry. 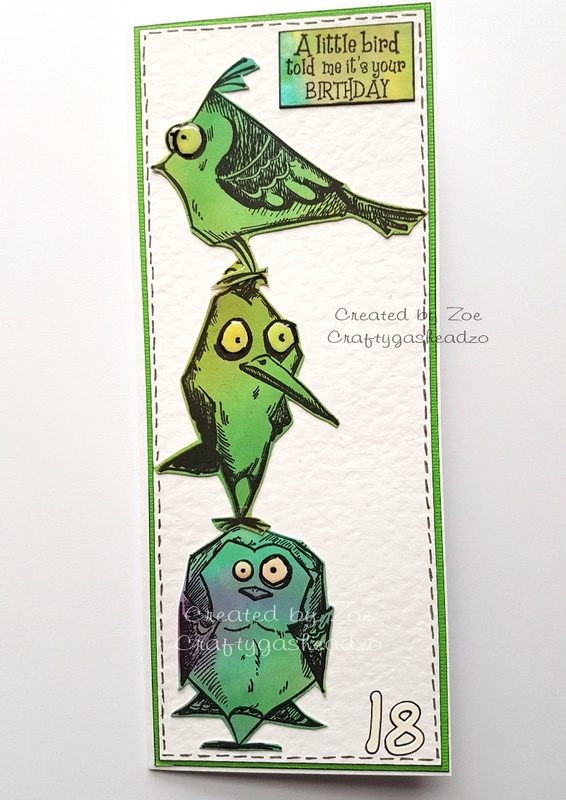 I then stamped the birds and cut them out. I added glossy accents and some sparkle. I also added white paint to pick out some detail. As a football fan I'm thoroughly enjoying having multiple games on each day. I've watched or listened to every one so far!